When you’ve got a big family to take to soccer games in Evanston or anywhere around Glenview, then you understand the value of comfort, space, safety, and entertainment features. The all-new 2018 Volkswagen Tiguan and all-new 2018 Volkswagen Atlas both bring these to the table with features like Apple CarPlay™ and Android™ Auto, a Fender® Premium Audio System, and VW Car-Net® Security & Service. There’s quite a bit that sets these two SUVs apart, though, so check out this guide before choosing your new VW SUV near Chicago. Every version of the 2018 Volkswagen Tiguan comes powered by a turbocharged 2.0L four-cylinder engine that generates 184 hp and 221 lb-ft of torque. When you opt for front-wheel drive, you’ll be able to get an EPA-estimated 27 mpg/highway and 22 mpg/city. 4MOTION® All-wheel drive is also available for added traction. The 2018 Volkswagen Atlas is offered with two different engines: a turbocharged 2.0L inline-four that makes 235 hp and 258 lb-ft of torque and a 3.6L V6 that makes 276 hp and 266 lb-ft of torque. With the turbocharged engine, you’ll be able to get up to an EPA-estimated 25 mpg/highway and 18 mpg/city. Front-wheel drive and 4MOTION® all-wheel drive are both available. 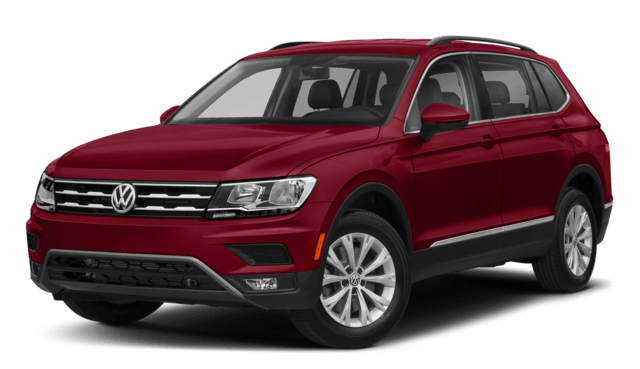 The VW Tiguan is a small crossover SUV that’s available with a standard five-passenger setup and available seven-passenger setup. It has a total interior volume of 135.9 cubic feet and a max cargo volume of 56.1 cubic feet. 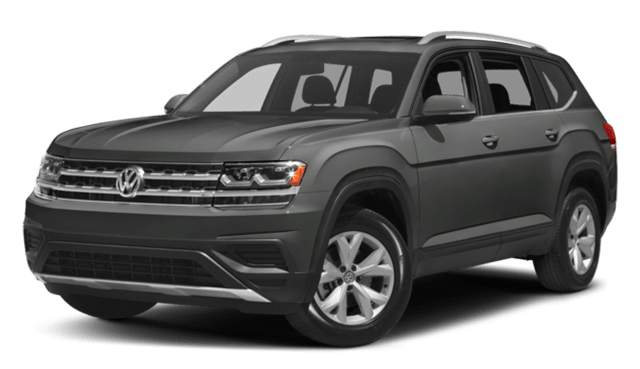 The VW Atlas is a larger midsize crossover SUV with a standard setup for seven passengers and an interior that measures 153.7 cubic feet. In total, you’ll have a max cargo volume of a cavernous 96.8 cubic feet.